Ever wanted to command an intergalactic starship with your friends? That's a trick question, because everybody's answer is "yes". Artemis Spaceship Bridge Simulator lets you do just that, all without fear of space zombies attacking you mid-flight. Recently released on Steam, iOS and Android, Artemis Spaceship Bridge Simulator is basically the Star Trek video game experience we've always wanted. Sure, that Interplay game Star Trek: Starfleet Academy Starship Bridge Simulator back in 1994 was pretty good, but with Artemis the realism is bumped up several notches, splitting command centers into dedicated panels for each co-op player. Coordinated by the captain, it's a game of both combat and exploration, all hinging on how well your crew works together and follows orders. The roles each player will assume are pretty well-defined, especially if you're coming from a Star Trek background. Stations have their own unique control panel that displays commands and information relevant to them. The helm can't see the comm, for example, which means everyone has to communicate like a real crew. Captain - In terms of actual game participation, the captain is the least involved member of the crew. His or her role is arguably the most important, however. The Captain's screen shows information for the entire ship, allowing you to shout out commands for other stations to follow, keeping everyone informed. It's all about maintaining order. Helm - Somebody's gotta fly the ship, and that's your job, helm officer. Maneuvering through battle situations, going to warp, targeting foes and avoiding attacks all fall under the helm's purview. Weapons - More than just smashing some buttons to blast phasers (sorry, "beams"), the weapons officer has to manage which torpedoes to load in the tubes as well as raise/lower the shields, coordinating efforts with helm and engineering so shots can actually hit something. Engineering - Divert power to the weapons? More power to the engines? That's your job. Keep the ship in good working order as the engineer, monitoring damage and prioritizing repairs via this panel. Requires a little more communication than other stations, but you wouldn't be playing if you didn't want to talk to people, right? Communications - More than just chatting up aliens, the comm officer's job ranges from sending orders to friendly vessels, taunting enemy ships, and ordering foes to surrender. This station also gets to activate the red alert, which is functionally useless but probably one of the jobs everyone wants to do. Science - And finally, the science officer controls the sensors of the ship, scanning and assessing enemies as well as searching out interesting things in space to investigate. 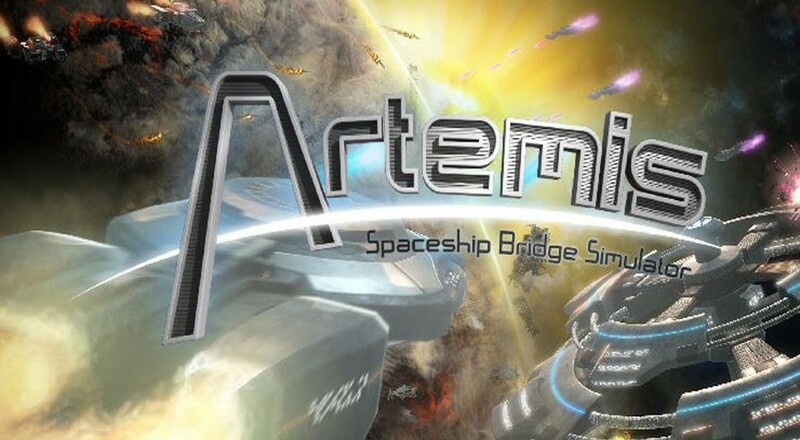 Artemis Spaceship Bridge Simulator is a co-op only game, there's no solo mode for those evenings you're feeling antisocial. It supports two to six locally or online, but we don't have to tell you that local play will be much more awesome. The game is also available for iOS and Android devices, but note that although cross-platform play is theoretically possible, server versions must match up for the devices to interact, which rarely (if ever) happens. Page created in 1.5604 seconds.